Thanks to grants from the Norwich Women’s Club, we hired Kevin Hybels to begin digitizing our photograph collection. Kevin is a Norwich resident and a history major at Cornell University. 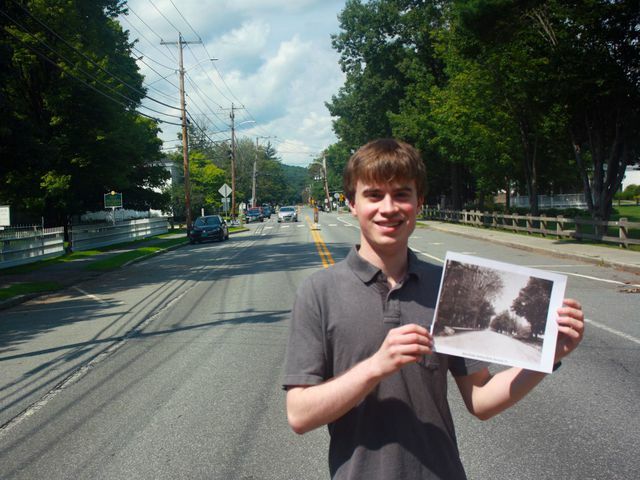 Throughout summer 2017 and 2018 Kevin shared favorite photos and insights into Norwich History on Facebook and our website in a series of posts titled Street Smarts. His work formed the foundation for a new exhibit: Street Smarts: The stories of how Norwich roads got their names which opened in January 2018. April Andrews generously lent us her scanner and her time, advising us on software and scanning techniques. Thank you, April!